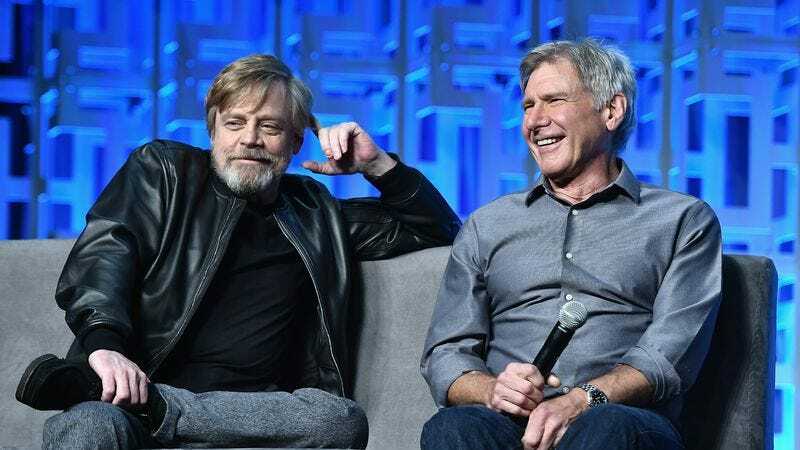 Unlike a lot of actors who are involved in hugely popular and successful movies, Mark Hamill has made it abundantly clear in recent years that he loves being a part of Star Wars. He knows how important Luke Skywalker is to people because Luke Skywalker is also important to him, and because of that he tends to have a unique perspective on the Star Wars movies. Case in point, while initially reading through the script for The Force Awakens, Hamill had a great idea for a way Luke could finally make his much-teased introduction that probably would’ve been a lot more dramatic than him silently standing on a mountain. Oh sure, it might not have lined up with what J.J. Abrams wanted to do with his movie, but it certainly would’ve been nice to see Luke, Han, and Leia together in a Star Wars movie one last time.